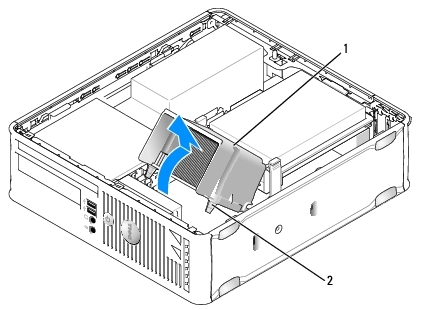 Disconnect the floppy-drive data cable from the system board and release it from the securing tab on the heatsink (see Floppy Drive). 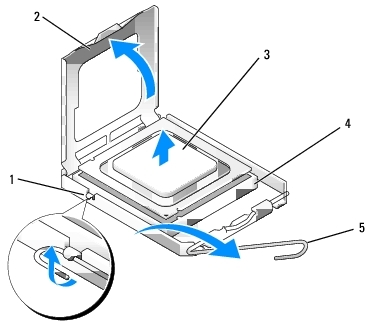 If you are installing a new processor, unpack the new processor, being careful not to touch the underside of the processor. 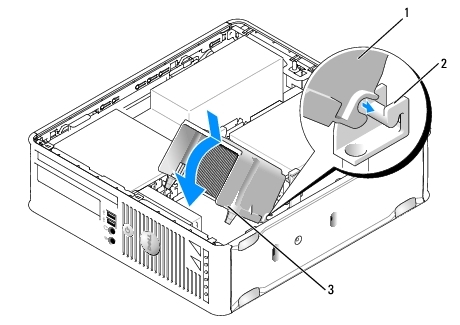 CAUTION: You must position the processor correctly in the socket to avoid permanent damage to the processor and the computer when you turn on the computer. Pivot the socket release lever back toward the socket and snap it into place to secure the processor. CAUTION: Ensure that the heat sink is correctly seated and secure. Route the floppy drive cable through the securing tab on the heat sink and connect it to the system board. 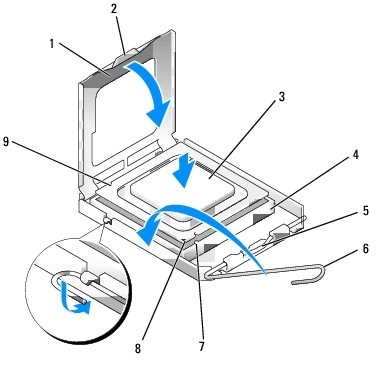 Replace the optical drive (see Optical Drive).